Up until recently, the U.S. government’s best efforts to stop their residents from playing real money online poker really didn’t even slow things down much. However, with the exit of huge poker rooms such as Poker Stars, Full Tilt Poker, and others, as a result of the huge crackdown known to the poker community as Black Friday, most people felt that online poker in the U.S. was finally dead. So this had most people thinking that they would have to wait until poker was finally regulated, meaning that certain states would start to allow it, before they could get back into the online scene again. The big problem with that is that even if a few states end up doing that, and it looks like a few will a little down the road, you would have to either live in one of those states or move to one of them to be able to play state regulated poker. Plus, who knows what regulated poker will really look like anyway. If we look to France, who has had regulated poker for some time now, many players aren’t happy at all with it, and in fact some are starting to revolt and go back to the non regulated rooms, due to the higher rake and less perks. If poker rooms are to pay hefty taxes in a regulated poker scheme, who do you think will ultimately suffer by this? Those players who are truly in the know are aware of the fact that there are still several very good online poker sites out there who still accept U.S. players with open arms. 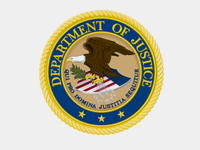 Even more importantly, now that the U.S. Department of Justice has finally called off the dogs and no longer see online poker as in violation of U.S. federal law, the pressure is now off. Many have said that this decision now opens the door for state run regulated poker, and it does, people tend to overlook the important fact that this also opens things up for offshore poker rooms as well. So while the challenge among those left standing after Black Friday has been to stay one step ahead of the U.S. authorities, this no longer is an issue. Just to give you a little background here, ever since online poker began, the U.S. felt that it was illegal by way of the Wire Act, and have tried to stop it. The text of the Wire Act only prohibits sports betting though, and the courts have ruled that it does not apply to online poker, but this did not stop the authorities in the U.S. from still believing online poker was illegal. When the UIGEA came into effect, it prohibited financial transactions related to illegal online gambling, and it was the Wire Act that allegedly made it illegal. Interested in reading more about this topic? 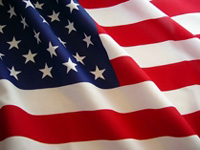 This page about U.S. Casinos on gamblingsites.co is the one I recommend. In December 2011, right before Christmas in fact, the U.S. Department of Justice had a big Christmas present for poker players. In a very surprising move, they admitted that they had been wrong all these years, and that the Wire Act indeed only applies to sports betting, and not poker. Therefore, there is no federal law against online poker, and for the first time ever, online poker is legal in the United States in states that do not have specific laws against it. Most do not, so for the first time, players are free to play online poker without fear of interference from the government. Online poker sites are also free to offer online poker to Americans in most states without fear of interference, and in particular, the heavy handed tactics that they recently took against the biggest poker sites on the internet. Those few sites who refused to be bullied by the U.S. government, and who stood their ground to continue to support and show their loyalty to U.S. poker players, have now emerged victorious. With most of the poker sites already out of the market, there are only a few good choices left, and those with a history of standing by their players from the U.S. have already been rewarded handsomely by increased business, and this trend is expected to continue. The real bottom line here is that a lot of players from the U.S. have been a little gun shy about getting back into the online poker scene after Black Friday, or may have been reluctant to play online poker all along, perhaps mistakenly believing that it was illegal. Now that this has all been settled, and poker is seen by the federal government as legal for the first time in history in fact, there is absolutely no reason for anyone to be shy about playing online poker. The only problem facing players from the U.S. these days is knowing which poker sites still left in the game are the best to play at. That’s why we’re here, to provide you with our expert advice and recommendations on the very best options out there for Americans these days. So we’ve selected our list of the top 3 online poker sites which take players from the United States, which are Club WPT, and Bovada Poker. So read on to get a review of all three, and then all you need to do is decide which one you want to try out first. Club WPT is an innovative idea put together well before the recent decision on the legality of online poker in the U.S., but even though you can now play at any online poker site that will take you, WPT is still worth a very serious look if you enjoy playing larger poker tournaments. WPT by the way stands for World Poker Tour, so you know that this is a very prestigious and respected site. 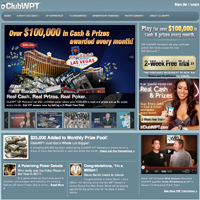 Club WPT came up with the idea of getting around the alleged law against online poker by positioning their poker site as a sweepstakes, where for $19.95 a month or less, members get access to a variety of premium content, like an online subscription to WPT magazine, a number of other exclusive poker related articles, a savings club offering big discounts on a wide variety of goods and services, and more. So the idea would be, technically at least, that members would be paying the membership fee for the content, and as an enticement, they would be offering “sweepstakes,” much like Readers’ Digest offers sweepstakes to get people to subscribe to their magazine. The twist with Club WPT though is that their “sweepstakes” consists of unlimited access to over 5000 poker tournaments with real money prizes totaling over $100,000 a month. So as long as sweepstakes are legal in the state you live in, which is the case with most states, it’s perfectly legal for you to be a member of Club WPT and play in as many real money tournaments as you wish. With so many tournaments running, this means that members can play in as many as they want to and have time to play in. If you didn’t ever need to sleep or do anything else, you could literally play in these tournaments 24 hours a day every day for just a flat fee of $19.95, which also includes all of the other premium benefits of membership. So the real beauty of all of this is you can just pay the membership fee, play all the real money poker tournaments you want, and never lose a cent. The game of poker then becomes wonderfully simple. You never lose, you only win. What you can win is not only money, but seats at World Poker Tour live event, with millions of dollars in prize money on the line, among other very nice prizes. Many poker players are losing players and have to keep depositing more and more just to stay in the game. These losses can really add up over time, and while some players eventually improve to the point where they finally become winners, a great many never get there. So if you are finding yourself spending more than $19.95 a month on poker, or are tired of all of the bankroll swings that you go through, then Club WPT may be worth considering. Being able to play as many tournaments as you want is also a tremendous value. If you only play one of the lowest tournaments out there, $1 buy in, every day, you’ve spent $30 a month right there, and won’t have an opportunity to play for the big money and big prize packages that Club WPT offers you. And we’re not even counting all of the premium features and benefits that membership in Club WPT gets you. When you put all of this together, it’s no wonder why Club WPT is so popular. 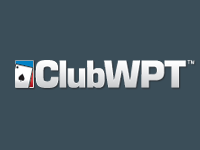 If you are wondering whether you live in a state which qualifies for membership at Club WPT, here are the states from which they take players: Alaska, Arizona, California, Colorado, Connecticut, D.C., Delaware, Florida, Hawaii, Illinois, Iowa, Kansas, Kentucky, Louisiana, Maine, Massachusetts, Nebraska, Nevada, New Hampshire, New Jersey, New York, North Carolina, North Dakota, Ohio, Oregon, Pennsylvania, Rhode Island, Tennessee, Texas, Utah, Vermont, Virginia, West Virginia, Wisconsin, and Wyoming. Club WPT also takes players from the following countries: Australia, Austria, Canada, Costa Rica, France, Germany, Italy, Switzerland, and the United Kingdom. So you don’t have to be from the USA to take advantage of all of this, and there are a fair amount of international players that have also tried out Club WPT and love it. Club WPT even offers you a two week free trial, where you don’t put up any money until you are sure that this is as great a deal as it sounds. After that, you can cancel your membership anytime, although with so many benefits for so little money, there’s no reason that you would want to anyway.